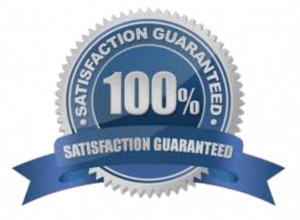 Wishing you could pull off a Christmas Offering this year? You can! 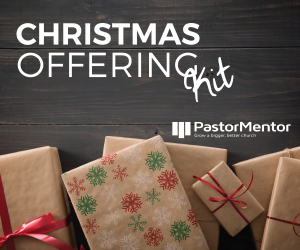 The Christmas Offering Kit from PastorMentor gives you all the resources you need to make it easy and fruitful to hold a Christmas offering in your church. Every year we follow this process at New Song, and we see God release resources for ministry, and grow the congregation as they practice generosity and good stewardship. You can see that stewardship growth at your church, too! [Video] “How to Conduct a Christmas Offering”, an excerpt from my online course, ChurchEngines. [Ebook] “The Step-by-Step Guide to a Successful Christmas Offering” which lays out the timeline for your offering beginning in September and ending in February. [Sample] The letters and emails we sent one year about our Christmas Offering that you can use as a template. [Sample] The letters and emails we sent another year for the Christmas Offering to use for another example of the projects and themes we used. [Sample] An example of a Christmas Offering envelope. The ebook includes information about where you can order giving envelopes. [Worksheet] To take notes while listening to “How to Conduct a Christmas Offering”. [Audio] “How to Conduct a Christmas Offering” in an audio version. Learn all you need to know to lead your church in a successful Christmas Offering.